Not far from Tel Aviv a drone flies low over a gritty landscape of warehouses and broken pavement. It slowly approaches its home — a refrigerator-sized box inside a mesh fence, and hovers, preparing to dock. It descends like some giant bug, whining all the way, and disappears into its base where it will be cleaned, recharged and sent back out into the air. 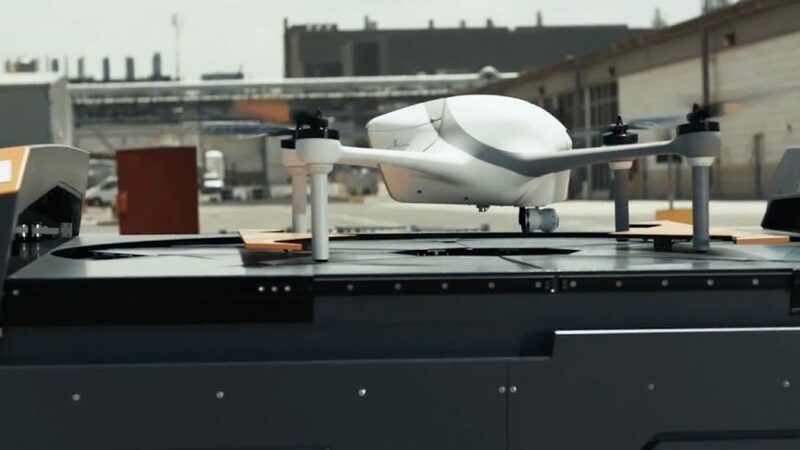 This drone is doing the nearly impossible: it’s flying and landing autonomously and can fly again and again without human intervention — and it’s doing it all inside a self-contained unit that is one of the coolest things I’ve seen in a long time.